Ever since I attended a session by Rachel Davies on Project Mapping at SPA 2005 I have been interested in simple ways to use emotions to engage teams. On a recent gig for exoftware I introduced weather poker at the end of the daily stand-ups as a way to measure the feelings of the team. 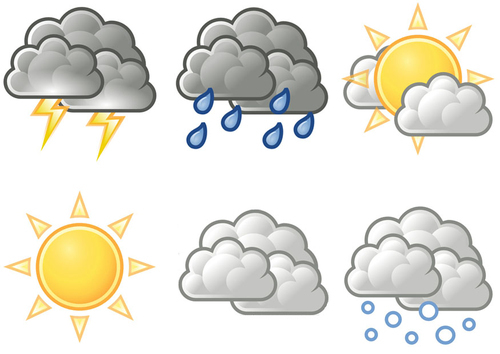 In essence, each member of the team was given cards with weather symbols ranging from thunder to sunny. We would then take a vote on what yesterday felt like and average out the results. A larger image was then made highly visible on our information radiator for all to see. Despite this being a small experiment, it did look like this was a very quick and effective way to allow the team to express how they were feeling. Indeed, the one day when the team decided to display the thunder symbol lead to an intense interest from the on-site customer. If you would like to try this in your team, I have attached a pdf with the cards ready to print and laminate.